Last year's LG V30+ is still quite a serviceable handset, especially if you're paying $5 a month over 24 months ($120 total). That deal is available at Best Buy only for those who want to open an account or add a new line with Sprint. Another deal to ponder if you're about to subscribe to Sprint or add a new line, is an 18 month Flex Lease on the LG V30+. Thanks to a $10 per month bill credit, you'll pay $5 a month for 18 months ($90). When the lease expires, you can turn in the phone and walk away, or pay off the $90 balance over 6 months to purchase the handset. If you're already a Sprint customer, the LG V30+ is priced at $15 a month over 24 months ($360 total). Or, you can lease it for 18 months at $15 a month ($270). When the lease expires, you can return the phone or pay off the $90 balance over 6 months. Regardless of your status with Sprint, Best Buy will sell you the LG V30+ for a one-time $360 payment if you activate it the same day it is purchased. If you decide to activate the handset at a later date, that one-time payment works out to $397.99. 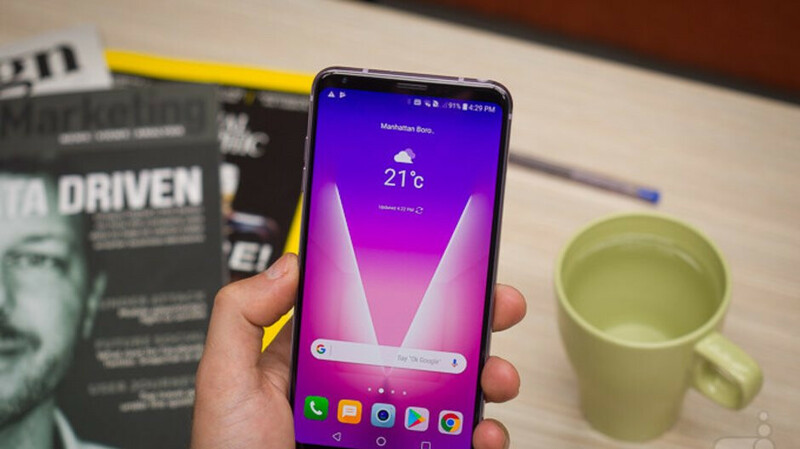 The LG V30+ features a 6-inch P-OLED display with a 1440 x 2880 resolution. That works out to an aspect ratio of 18:9. The Snapdragon 835 Mobile Platform is under the hood, along with 4GB of RAM and 128GB of expandable native storage. On back there is a 16MP primary camera (f/ 1.6 aperture) and a 13MP secondary camera with a 120 degree viewing angle. A 5MP wide angle selfie snapper adorns the front of the handset, and keeping the lights on is a 3300mAh battery. The phone carries an IP68 certification rating allowing it to be submerged in nearly 5 feet of water for as long as 30 minutes and emerge unscathed. Android 8.0 Oreo is pre-installed. If interested in any of the aforementioned deals for the device, click on the sourcelink below. Still a great phone, especially at that price. LG's got some weird mobile strategies these days but that V30+ is nice.